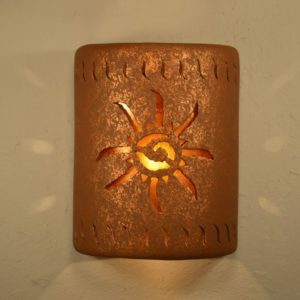 This 9″ tall closed top (Dark Sky Compliant) half round wall sconce has a Peaks center cut design and is finished in a red mica color. 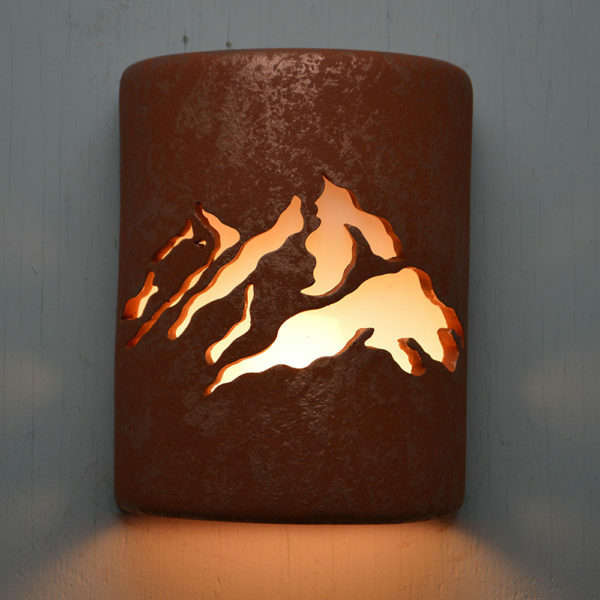 This 9″ tall closed top (Dark Sky Compliant) half round wall sconce has a Peaks center cut design and is finished in a red mica color. 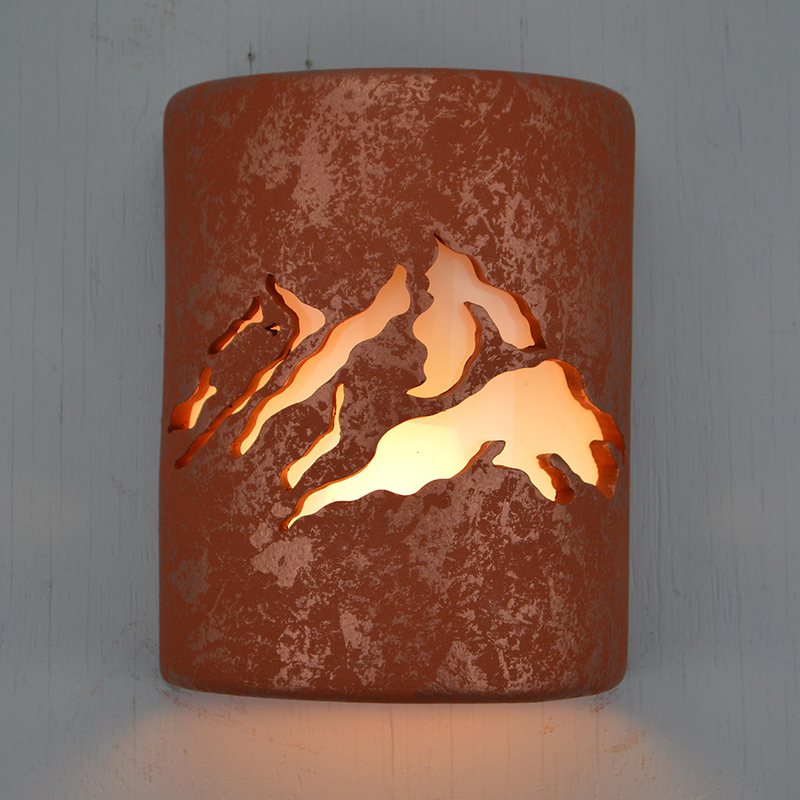 Our Peaks design inspired by the Sandia Mountains, which is the foot of the Rockies right here in Albuquerque, gives a great attraction to cabins, lodges or any rustic décor. 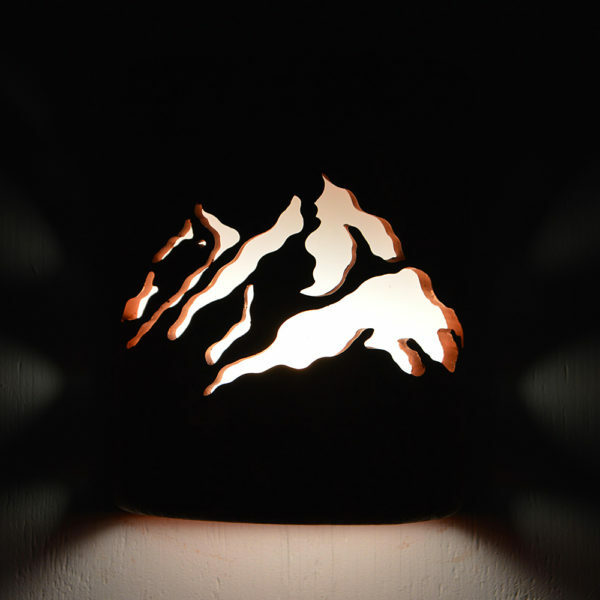 This sconce is wired for the indoor or outdoor and comes with a hanging kit and instructions. This Dark or Night Sky compliant light lets the starry night sky be better preserved. 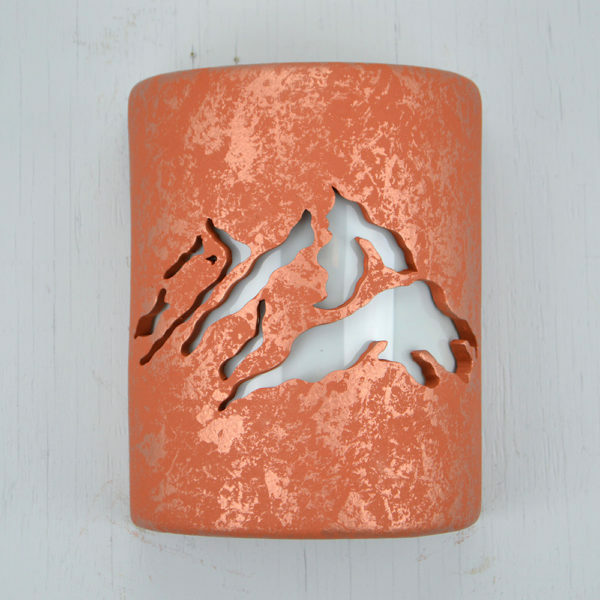 Each of our wall sconces are made in the U.S.A. and are UL listed in the U.S.A. and Canada. Our lights are finished with a high quality, exterior, low VOC waterbase paint. The 9″ 1/2 round is UL listed for a wet location, so it can be used outside. 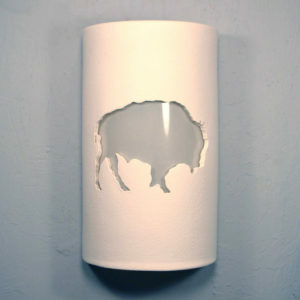 Side wall wash holes give a beautiful fan of light on each side with functional yet ambient down light only. Easy to install and all lights come with an installation kit and instructions. Due to the handcrafted nature of our lights, each sconce is truly unique and multi-color finishes may vary. Recommended 75 watts maximum. Compatible with standard A-19 bulbs. 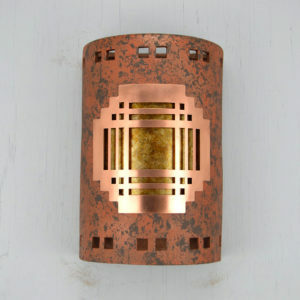 Use an outdoor rated LED when mounting outside for energy efficiency. LED bulbs are now available up to 100 watt equivalency. 2700-3000K bulb will give you a warm light, which softens the illuminated area.